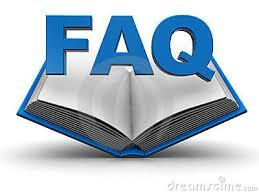 FAQ/Q&A Friday – Should Messianic Judaism Avoid The Rulings of the Rabbis? Recently one of you fine people asked me this question, and I promised to respond to it today. So here is my first crack at a very good question. The richness of the rabbinic tradition is a valuable part of our heritage as Jewish people. Although some of us have been brought to believe that our New Covenant faith is based on the Bible and nothing but the Bible, sooner or later most of us will discover that living out our faith has a cultural component. The Bible cannot be understood apart from a community context, which helps one understand its deepest meanings, the order in which things might be done, what overrules what, etc. In this way, obedience takes shape in families, communities, congregations, and the world. If we Messianic Jews are not going to eat, to marry, to pray, to live, and to die in Jewish ways, then we are going to do these things in non-Jewish ways. Why is this important? Ours is a religious message, that Jesus is the King of the Jews, the Mashiach and not a guru, and that He is the fulfillment and the validation of our heritage. Therefore, it is right that our religious expressions should be identifiably Jewish, and not simply “biblical.” After all, Baptists are biblical, and Pentecostals are biblical. There is nothing wrong with being Baptists or Pentecostal but is this Messianic Judaism? No. Still, many of us realize that our views have been shaped entirely by a non-Jewish context that leaves a foreign imprint on our hearts, minds and lives. Is this the best we can expect? Again No! Many of us in America, and certainly in Russia have been brought up ignorant of, or even hostile to, the varied voices of Jewish tradition. For some this was due to secularization, for some this was due to the influence of Communism. Whatever the reasons, many of us have grown up strangers to Jewish life, perhaps alienated from Jewish life, or even hostile to Jewish life. But secularism and politics can never, in the end, satisfy a people formed by HaShem to show forth His praise. For us, the good life should include not only returning to God, but also returning to our people, the Jewish people, and their way of life. What we must not forget is that this is a way of life that God gave to the Jewish people. Otherwise, what are we? And if we don’t do this, then how is our Messianic Judaism a Judaism and not just Christianity with a tallit? Our evangelical contexts taught us to distrust the opinions of “the rabbis” whose views on life and faith are often perceived as a deceptive and legalistic counterfeit of the more abundant life to be found in Yeshua. After all, we have the Holy Spirit! We have the Bible! What could we possibly learn from the rabbis except dead religion? Here are the kinds of objections that are often raised. 1. The rabbis created traditions of men, and we should not follow the traditions of men. 2. The rabbis rejected Jesus, so it would be spiritually wrong for us to practice Jewish ways of life. 3. All we really need is the Bible and the Holy Spirit. 4. We don’t want to come under the authority of the rabbis. Let’s look at these four objections one at a time. Of these three, only the last kind should be abandoned. a. Rabbis are individuals and to assume that they are all alike is unsupportable. In fact it is prejudicial thinking. I know of one Jewish missionary leader who said in print, that rabbis are not interested in their congregants knowing God but only in preventing them from believing in Jesus. I hope you realize what a nasty comment this is. On what basis other than prejudice can anyone say that rabbis have no interest in their people having a relationship with God but only in their not believing in Jesus? This is prejudice. b. Using this argument, it was ministers and priests who for centuries have taught Christians to hate and persecute the Jewish people, and taught that the Jewish way of life is sinful and must be abandoned by any Jew who accepts Christ. Does that mean that someone should reject believing in Yeshua because it is “the religion of the ministers/priests?” Some people say so, and if you reject Judaism as the religion of the rabbis, you must also reject Christianity as the religion of the ministers and priests. a. The Bible has never existed apart from a community that needed to discuss, “How are we going to do this?” This creates the possibility of oral law—of regulations about how we are going to obey the written law, and it creates the need for teachers, leaders, acting as judges to determine proper practice. In Jewish life those leaders are rabbis. b. If all we need is the Bible, then we either end up with every person keeping the Bible in their own way, and this destroys community. In addition, whenever one meets a person who independently says, “All I need is the Bible and nothing else,” such people seem to always turn out to be quirky individuals. In fact, the Bible discourages this kind of behavior, requiring us to live in community and not in “anointed isolation.” Remember this passage from Hebrews: “Forsake not the assembling of yourself together as the manner of some is.” Isolated, self-referential people are generally weird, but they are the last people to know it. And often we end up with people who SAY they only need the Bible but actually follow some strong personality, some teacher, some agreed upon understanding of what the Bible means and what it emphasizes. Such people have their own teachers, leaders and judges, their own rabbis, and their own traditions without realizing they do. 4. As for the question of coming under the authority of the rabbis, there is a yes and no answer to this. First of all, if we pay attention to the teachings of Yeshua we discover this passage in Matthew 23. Then Yeshua addressed the crowds and his talmidim: “The Torah-teachers and the P’rushim,” he said, “sit in the seat of Moshe. So whatever they tell you, take care to do it. But don’t do what they do, because they talk but don’t act! a. Notice Yeshua is talking both to his disciples and to the crowds. He is giving a ruling that applies to all Jews . . .
b. He reminds them that the Scribes [the Torah-teachers] and the Pharisees sit in the seat of Moshe. This is a way of saying they have the authority to teach the Torah of Moshe. c. Then he says “so [or therefore] whatever they tell you, take care to do it. 8 “If a matter arises which is too hard for you to judge, between degrees of guilt for bloodshed, between one judgment or another, or between one punishment or another, matters of controversy within your gates, then you shall arise and go up to the place which the Lord your God chooses. 9 And you shall come to the priests, the Levites, and to the judge there in those days, and inquire of them; they shall pronounce upon you the sentence of judgment. 10 You shall do according to the sentence which they pronounce upon you in that place which the Lord chooses. And you shall be careful to do according to all that they order you. 11 According to the sentence of the law in which they instruct you, according to the judgment which they tell you, you shall do; you shall not turn aside to the right hand or to the left from the sentence which they pronounce upon you. i. We are to do what they tell us to do because they have the authority to teach on the meaning of Torah as worked out in the Jewish community. We are to take care to do what they tell us to do—it should be something we apply ourselves to, but . . .
ii. We are not to do as they do when they talk but don’t act. Really, what this means is that even the rabbis don’t always practice what they preach. Underlying that point is the fact that, for the most part, they preach the right things but when they don’t live up to their preaching, we should not follow their example. d. “Coming under the authority of the rabbis” is not really a life situation most of us face, and seems to me to be a red herring argument to divert us from the propriety of having a Judaism rightly so-called. i. In general, our Messianic Judaism should be respectfully interactive with Jewish precedent and we should remember that God gave the rabbis the right to determine what Judaism would look like. ii. We should always honor the example and teachings of Yeshua and the apostles, and evaluate our Jewish practice by these. iv. When Judaism teaches something with which we don’t agree, we should join together with other believers and prayerfully consult the Scriptures to decide if what we do not agree with is a matter of indifference to God or something God approves. We only have justification for rejecting such teachings as are clearly in violation of Scripture rightly interpreted. We are not here to reinvent Judaism, but to practice Judaism in a way that honors God, while honoringYeshua in the power of the Holy Spirit. We are also not here to destroy our commonality with our people Israel by inventing a new religion of our own! In fact, we should be at the vanguard of leading our people back to Jewish life in Yeshua’s name. “The Bible cannot be understood apart from a community context.” This worth the price of admission. I enjoyed this post. Thank you. Thank you for this insightful article and your comment to Barbara Singer’s post.